Professional landscapes can bring beauty to your home and peace to your soul. But there are so many decisions to make about what you want your yard to represent, to embody, to showcase. Who can you turn to when all you have are questions and the answers seem to be written in a different language? Honest landscape contractors in Monterey and San Benito Counties, including those in the larger cities of Salinas, Monterey, Marina, Greenfield, Gonzales and Hollister 7, can make all the difference when you are trying to decide how to go about beautifying your outdoor space. 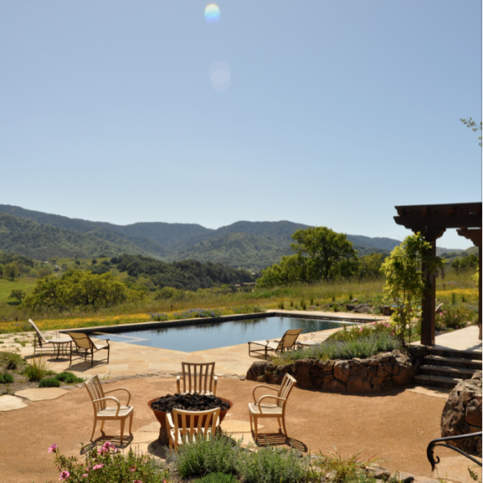 The first question you may be asking yourself is, “How do I find a landscape contractor in Monterey and San Benito Counties that I can trust? You’ve come to the right place. Diamond Certified is committed to helping you hire a landscape contractor who fits your needs, budget and personality. Look through the articles below to find practical tips on how to find and hire a Monterey and San Benito Counties landscape contractor, even from the smaller cities of Aromas, Bolsa Knolls, Neponset, Tres Pinos and Santa Rita, that you can have complete faith in to make your yard more beautiful and your home a place of peace and contentment. Now you do have to do some slight research and make a few decisions before beginning your search for a Monterey and San Benito Counties landscape contractor. First of all, you need to understand the difference between the professionals in the landscaping business. A landscape contractor can provide the service of designing outdoor spaces and then doing the labor to bring them to fruition or they can simply take the design of a landscape architect and make it a reality. Both landscape contractors and architects are licensed by the state of California, whereas a landscape designer is an unlicensed person who can provide you with ideas as well as plans for planting and the “look” of a yard. Diamond Certified can help you locate, interview and hire a landscape contractor that can get your job done. Once again, it’s going to take a little prior effort on your part to get the ball rolling. You’ll need to know a basic idea of what kind of design you are looking for, be honest with yourself about the shape of your outdoor space at the present moment and become attuned with what design styles work with your personality and space. But don’t worry! 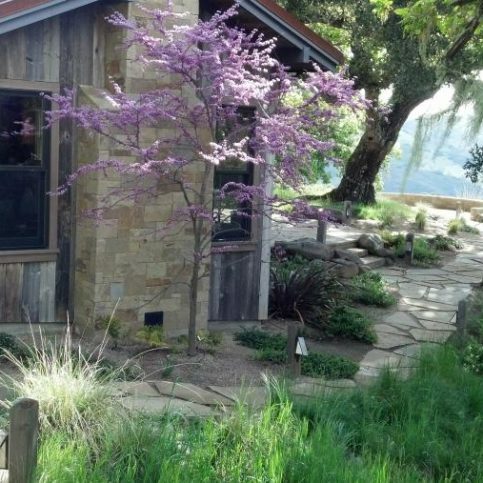 We’ll give you lots of questions to ask yourself that will help you shape your own answers before you get started on hiring a Monterey and San Benito Counties landscape contractor. Remember, knowing what you want will help you hire the right kind of landscape contractor for your project. You are not really in the market for a landscape. You are actually looking for the services of a landscape contractor who can bring the landscape you have in your head into your outdoor space. 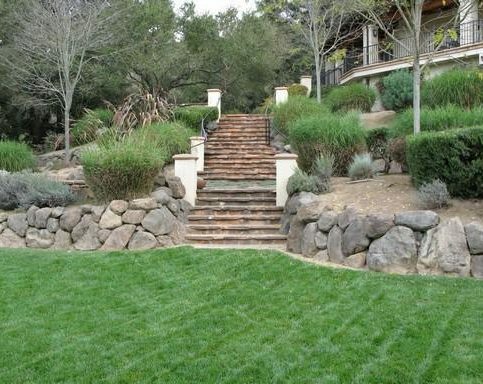 A good relationship with a trustworthy Monterey and San Benito Counties landscape contractor can last as little time as it take for your initial project to be completed or as long as your tastes keep changing and with them your yard. Whatever the time frame, when you initially attempt to hire a landscape contractor, the first item you’ll want to be aware of is the contractor’s license. You can contact the California Landscape Contractors Association for a complete list of licensed landscape professionals in your area, whether that is in the larger cities of Seaside, Soledad, Pacific Grove, King City and Carmel-by-the-Sea and San Juan Bautista or the smaller cities of Jamesburg, Logan, Plaskett, Sand City and Welby. It is best to look for a licensed contractor because they are regulated by laws that protect you; they are bonded; and they must complete four years of apprenticeship in the field before they can apply for a license. Each of these aspects will give the licensed landscape contractor a leg up on the competition; otherwise you might be left liable for anything that might go wrong during a landscaping project. Landscape contracting in Monterey and San Benito Counties is an area of expertise where actions speak louder than words, and you should get out in your community and ask neighbors, friends and businesses with outdoor spaces you love who does their landscaping. A lot of designs may look fantastic on paper, but you’ll want to know what you like the look of in real life in order to hire a landscape contractor who can help you bring that look to your own home. Why Trust Diamond Certified Landscape Contractors Rated Highest in Quality? Custom landscaping by a landscape contractor. Jerry Allison is a 42-year veteran of the landscaping industry and president of Jerry Allison Landscaping, Inc., a Diamond Certified company since 2013. He can be reached at (831) 275-0999 or by email. WATSONVILLE — When Jerry Allison got his first proper landscaping job in 1974, he wasn’t new to the field; rather, it was something he’d long been acquainted with. “I’ve been doing landscaping work since I was a kid,” he remembers. “When I was 10 years old, I used to mow and edge my neighbors’ lawns, and I spent my high school years gardening to make extra money, so it was something that just came naturally to me.” Given his innate inclinations, it didn’t take long for Jerry to progress in the industry—after working at a plant nursery for two years, he got his contractor’s license and started his own landscaping business. A: “The Catcher in the Rye.” I first read it in high school, and I picked it up again recently and really enjoyed it. A: The Dawn Redwood. During a trip to New Zealand, I went to a park and found a Dawn Redwood that had been planted on the exact date that I was born, which, coincidentally, is International Arbor Day. It’s had a special place in my heart ever since. A: “Gettin’ By” by Jerry Jeff Walker. When I was a river guide, I used to bring my guitar along and regale my passengers by singing songs, and that was kind of my theme. Q: What’s the strangest food you’ve ever eaten? 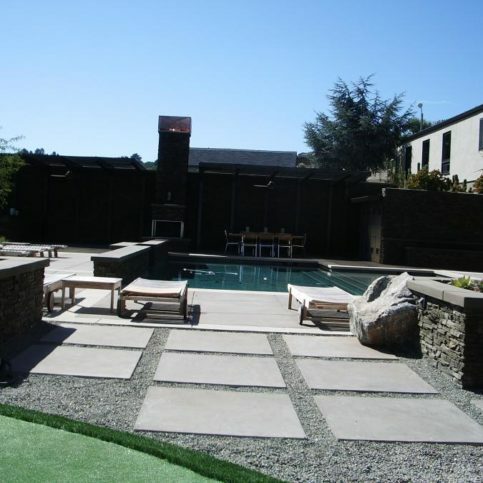 This backyard swimming pool area in Carmel features clean lines and low-maintenance plants. A meadow in bloom provides a colorful backdrop for this backyard swimming pool, integrated spa and natural flagstone pool deck. 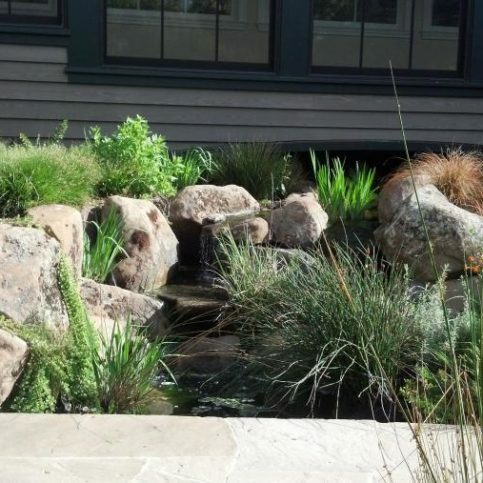 This creek and pond provide natural ambiance for a home’s front entry. Complimentary pool plaster, flagstone decking and dry stack stone walls blend with the natural colors of this Carmel home. Detailed tile and patio stone patterns provide the backdrop for this limestone entry fountain and outdoor fireplace. The first step towards creating a professional landscape in your outdoor space is to clearly understand exactly why you are seeking professional help with your yard. You have to know why you want to change the look of your landscape before a professional landscaper can begin the process of transformation. Being straightforward with yourself about the state of your budget for any outdoor project will also be very helpful in starting a defined search for a Monterey and San Benito Counties landscape contractor. As with any home-improvement project, a budget must be tentative and allow for setbacks or complications, but you must have a number in mind before you begin. To truly be ready to answer the question of “how much,” you will need to clarify what exactly needs to happen with your space, how much of your landscape you are going to tackle and the basic idea of what you want the transformation to look like. You don’t have to come up with a design (that is why you are hiring a professional), but you do need to have some small clue as to what you are looking for so that you know how to plan, especially when it comes to creating a budget. In order to help you create a tentative plan and budget, take a look at the questions below. If you answer them honestly for yourself, you will be well on your way to beginning the real process of hiring a good landscape contractor in Monterey and San Benito Counties, including from any of the cities of Salinas, Monterey, Marina, Greenfield, Gonzales and Hollister 7 . Am I looking for a landscape contractor to increase the value of my property? Do I want to increase my enjoyment with my outdoor space? Do I have water and/or energy concerns that are prompting my need for a landscape contractor? Am I endeavoring to create a safe environment for children and/or pets with a new landscape? What outdoor activities does my current landscape allow for? What would I like a professional landscape to support? Do I have any idea what style I am looking for (English garden, new age tranquility, etc.) or do I need professional help with that step as well? What features am I interested in (water fountains, rock gardens, waterfalls, built-in barbecuing space, etc.)? What materials do I like best (granite, stone, wood, etc.)? How big of an area (in square feet) am I looking to overhaul? What is the current state of my outdoor space (rough dirt and rock, basic grass, terraced, etc.)? How much am I willing and/or able to spend on this landscaping project? Once you have finished enough phone interviews to feel confident in reducing the number of choices for a suitable Monterey and San Benito Counties landscape contractor, you are now ready to visit some contractors where you live, whether that’s in the larger cities of Salinas, Monterey, Marina, Greenfield, Gonzales and Hollister 7 or the smaller cities of Jamesburg, Logan, Plaskett, Sand City and Welby. Use the following questions to help you hire the right landscape contractor for you once you have visited some select firms. Do you provide the sort of landscaping design and/or installation I am looking for? Can you help me identify plants that work well in our Monterey and San Benito Counties climate? How long do you think it will take to complete my proposed project? Is it your policy to provide a written contract for all new landscaping? Do you provide landscaping maintenance? Are there any discounts for customers who have you design and/or do the initial installation? If permits have to be obtained for my planned project, who is responsible for securing those, are you or am I? Will I be assigned one designer and/or contractor to work with throughout my project, or does your company float designers and/or contractors? Can you provide me with ten new addresses and contacts for landscaping installations you have done recently and (if you provide maintenance) five new addresses for landscaping maintenance that you are working on currently? Can I see certified proof of your contractor’s license, liability insurance and workmen’s compensation? Do you hold any other professional credentials or belong to any associations? May I examine your portfolio? How quickly after we solidify my landscaping plan can I expect a contract? It is difficult to be sure that the Monterey and San Benito Counties landscape contractor you end up choosing is the best fit for you. But with Diamond Certified on your side, you can have assurance in your choice! It’s best to choose a Diamond Certified landscape contractor because all certified companies have passed an in-depth ratings process that most other companies can’t pass. If you want quality from a landscape contractor in Monterey and San Benito Counties, you can have confidence choosing a Diamond Certified company. Diamond Certified reports are obtainable online for all certified companies. And you’ll never be fooled by fake reviews. That’s because all research is performed in live telephone interviews of actual customers. If you can’t find a Diamond Certified landscape contractor in your area, particularly if you live in the smaller cities of Aromas, Bolsa Knolls, Neponset, Tres Pinos and Santa Rita, you’ll have to do some research on your own. If you do, it’s wise to call some references provided by your contractor. Keep in mind, though, that references provided to you by the landscaping firm are not equal in value to the large random sample of customers surveyed during the Diamond Certified ratings process. That’s because references given to customers from companies are cherry-picked instead of randomly selected from all their customers. So the contractors will likely give you a few customers to call that they know are satisfied. If you do call references on your own, ask for a list of the company’s 10 most recent customers with projects similar to yours. This will help avoid them giving you the names of only customers they know were satisfied. Use the following questions to learn all you can you’re your Monterey and San Benito Counties landscape contractor references. Did this contractor provide open and well-timed communication throughout your project? Did this contractor ensure that he/she left your outdoor space safe for your family and pets during the project’s completion? Did this contractor clean up the worksite each day? Did this contractor keep ahead of delays as much as possible and give good warning if a delay was unavoidable? Was the project completed within the time frame and your agreed-upon budget? Did this contractor keep current with all building codes and permits? If this contractor is providing landscaping maintenance, are you happy with their response time and maintenance abilities? Were you satisfied with their service? Would you/have you recommended this contractor? Would you hire this contractor again? 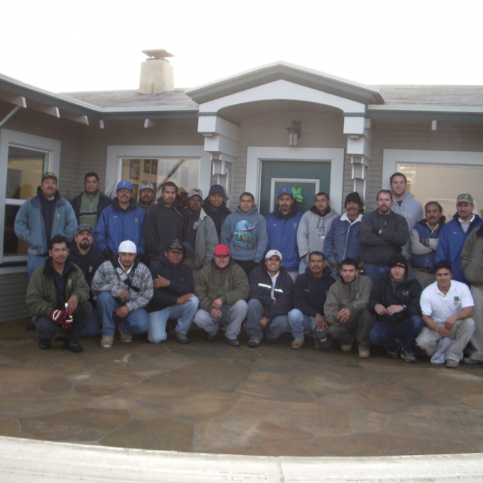 Monterey and San Benito County landscaping contractors stand as one of the most complicated pieces of the home improvement industry puzzle. Some contractors work on relatively small tasks like mulch delivery and installation, seasonal planting, sprinkler systems, etc. Larger landscaping firms help clients draft a plan for their outdoor space that will have the neighbors heads turning and fingers dialing a landscape professional of their own. Whether you live in the larger cities of Seaside, Soledad, Pacific Grove, King City and Carmel-by-the-Sea and San Juan Bautista or the smaller cities of Aromas, Bolsa Knolls, Neponset, Tres Pinos and Santa Rita, both types of companies can be found and you have to understand your needs before making a final decision on who to hire. Once you’ve decided on the kind of landscaping project you have on your hands and the type of company you want to hire, you’ll need to be aware that landscaping can get expensive. According to commercial data, the average cost to install landscaping for residential properties is $4,000. Your project may fall well under or well over the national average, but there are ways to get good value for whatever monetary amount you decide to spend. Your choice of a landscaping contractor is one of the biggest factors in gaining value for the money you spend on your outdoor oasis. So before deciding on the best landscaping contractor in Monterey and San Benito Counties for you, it’s important to consider the following questions. Have I carefully assessed my needs, measured my property and done appropriate prior research to understand the type of landscaping firm I need to hire? Do I have an idea of the design I am looking to implement, or do I need help with that initial step? Now that you’ve employed a landscape contractor, you will want to be prepared for the process of working with them for the best results. Although each contractor works in their own way, the following steps are a generalized plan for the process of working with your landscape contractor. This will happen at your outdoor site. The contractor should ask to hear your version of the transformation that will take place, review the property, discuss initial design plans and discuss your options according to your budget and needs. From this interview, a tentative design and contract can be built. Synthesis of every wish and option talked about during the first consultation. This can also include an actual questionnaire complete with pictures of other designs to review and give comments on. Your color palette for the project should be finalized at this step. The contractor should take photos, completely measure the space, analyze your soil, look into any building codes or permits needed, note weather patterns and drainage issues as well as slate any existing plant material for relocation or removal. Once there is an agreed-upon base plan, your contractor should offer other ideas and options for your space. After these have been discussed, the final design can be approved. Final design needs to include everything from site elements to material specifications, irrigation system determination to plant installation. The start date for the project, usually beginning with the removal and rearrangement any existing landscape. Your contractor should visit your project periodically to monitor installation and answer any questions or concerns that may have arisen. This is the time to bring up any changes to the design that you are considering. This is one of the final steps to completing your landscaping project and your contractor needs to ensure that you are an integral part of the process. You need to understand the plants that are going to be part of your outdoor life for years to come. Your contractor should take a walk-through your project with you upon completion to review any last instructions and to answer any last questions you might have. This is the time to make sure your satisfaction is met in regards to any contractual elements. Remember that your Monterey and San Benito Counties landscape contractor may work a little differently through these steps, but the process should look similar and the main details should still be included, even if they happen at differing times. 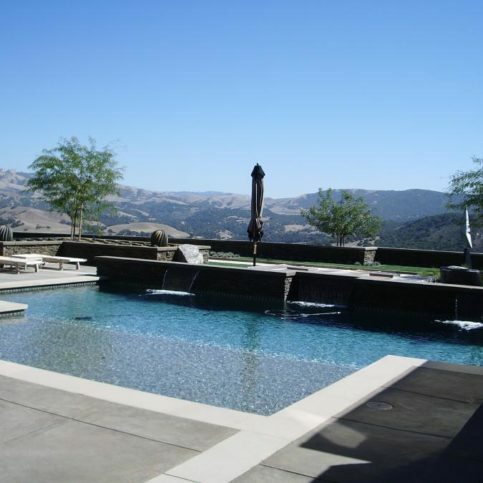 You may wonder if it is worth all the trouble to look for and hire a Monterey and San Benito Counties landscape contractor, especially if you live in a smaller city like Aromas, Bolsa Knolls, Neponset, Tres Pinos and Santa Rita. Do-it-yourself landscaping can seem like an attractive way to save money. Doing landscaping projects by yourself may seem to save you costs up front, but hiring a knowledgeable Monterey and San Benito Counties landscape contractor can save you a lot more time, money and headache in the long run. It’s the landscape contractor’s concern to put in quality landscapes using the best possible installation techniques. But you play a big part in the success of your landscape contractor, too. Here are a few simple steps you can take to be a good customer when employing a Monterey and San Benito Counties landscape contractor. Be clear and upfront with the contractor. Let them know what you want, the long-term outcome you’re expecting and specific ways they can fulfill your expectations. Remember, a sociable smile goes a long way! Before you hire a landscape contractor in Monterey and San Benito Counties, restate your expectations and goals, and reiterate to the firm’s representative your understanding of the agreement. Most problems with local landscape contractors occur because of a breakdown in communication. Ask your contractor if you should call to check on the progress or if he/she will call you with updates. Be sure your service representative has a phone number where they can reach you at all times while they’re working on your yard. The work will move along more smoothly if your contractor can reach you for any necessary updates, questions or work authorizations. When your contractor contacts you, return calls promptly to keep the landscaping project on schedule. Pay for the landscaping work punctually. Why would you want to be a good customer? Landscape contractors in Monterey and San Benito Counties are grateful for customers who are straightforward, honest and easy to work with. Your good customer behavior sets the tone from your end and creates an environment conducive to a good relationship. Things may very well go smoother and any problems may be more easily resolved. Licensed bonds are mandated for Monterey and San Benito Counties landscape contractors, but this doesn’t necessarily mean your job will be concluded in the way or in the timeframe that you were hoping for. Payment and performance bonds help make sure you get the work you pay for. Although nothing can really ensure that your project will be completed, these bonds give a financial guarantee against mechanics’ liens—these can be filed against you if your landscape contractor does not pay subcontractors or suppliers that they use. Payment and performance bonds also deliver a certain amount of money to finish a project if your contractor will not do it. Remember that this bond should include the total estimated cost, to fully cover any expenses you may be left with. You should know that these bonds can cost one to five percent over the total price, but you have to weigh how much it will gain you in the end if something goes wrong. Another reason to look for a Monterey and San Benito Counties landscape contractor with more experience, whether you live in the larger cities of Seaside, Soledad, Pacific Grove, King City and Carmel-by-the-Sea and San Juan Bautista or the smaller cities of Jamesburg, Logan, Plaskett, Sand City and Welby, is because contractors who are fresh to the landscaping world may not be able to obtain these payment and performance bonds. There is one other option to give your project a sense of security, especially if your contractor is unable to acquire a bond. Joint control companies specialize in construction, both building and landscaping. These companies receive your payment and then distribute it to your contractor and its suppliers, subcontractors, etc. A joint control company should take a look at the final project before paying out your money and also provide a warranty against any mechanics’ liens. Your Monterey and San Benito Counties landscape contractor should be able to provide you with names of these type of companies. 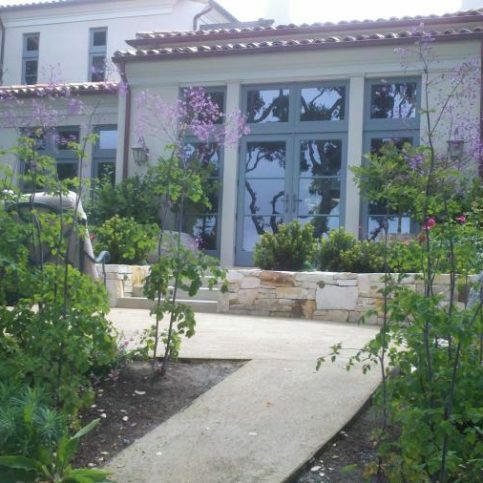 California law states that home enhancement projects over $500 must be agreed-upon in writing. It is still best, even if your landscaping project is under that amount, that you request a written contract. After signing the contract, changes that you and/or the contractor make in the work or materials to be use must be added in writing. The change order must also include any increases or reductions in the total job price. If you have carefully planned the job and selected a licensed Monterey and San Benito Counties landscape contractor, including those in the smaller cities of Aromas, Bolsa Knolls, Neponset, Tres Pinos and Santa Rita, the job should progress without any major problems. If it is your first time working with the company, you want to make sure that the job will get done before you put money into it. Be especially guarded against contractors who ask for any amount before starting your project. Most Monterey and San Benito Counties contractors do not require a down payment, although they may request their payment in installments over the length of the project. If a down payment is expected, remember that the legal limit for home improvement projects is only 10 percent of the total estimated cost of the job or $1,000, whichever comes out to less. If you have requested a payment and performance bond or are using a joint control company, this down payment cap does not count. Make sure that any down payment or payment schedule is written in your contract and always make payments by money order or check, never cash. Finally, do not pay your last installment until the project meets your expectations and the specifications outlined in your contract. Even small things, such as cleaning up any remaining trash in your yard should be the responsibility of your contractor, and to protect yourself, it is always best to withhold final payments until you are completely satisfied. Landscaping ideas can be as varied as the number of people who own homes and want to beautify their outdoor spaces. 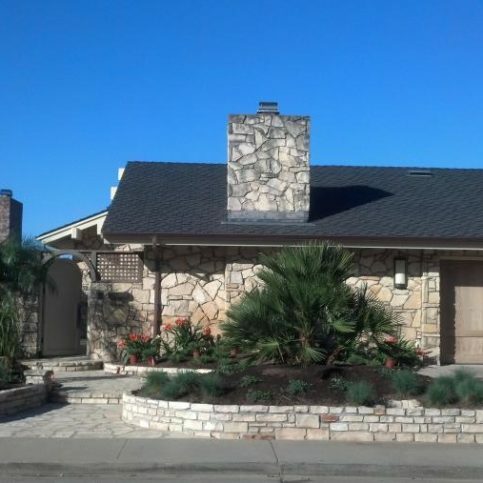 It is challenging to narrow down what clients of Monterey and San Benito Counties landscape contractors generally want when they hire a landscaping firm to help with their outdoor transformation. However, the following 10 elements of landscaping design are some of the most commonly requested features for outdoor installation. Speak with your Monterey and San Benito Counties landscape contractor, including those in Seaside, Soledad, Pacific Grove, King City and Carmel-by-the-Sea and San Juan Bautista, to see what they are willing and/or able to undertake in your outdoor space. Most commonly thought of as softscaping, flowers and plants are just one of the many ways landscape contractors improve the beauty and value of your home. Their expertise can help you choose the right flowers and plants to flourish in your yard. Not often associated with the landscape, outdoor lighting is actually an integral part of providing beauty and safety to your outdoor space. Landscape contractors will either be trained to do this part themselves or hire a subcontractor who specializes in lighting to accomplish your design. The more natural choice for walkways in your outdoor space, stone can enhance the look of your yard without adding a lot of man-made material. Stone walkways also help showcase any spaces that have been landscaped without a lot of traffic to ruin planted areas. Your Monterey and San Benito Counties landscape contractor can help you decide on the material best suited to your outdoor space for installing a patio. Adding a patio can boost not only the beauty of your yard, but also the usability. Water features are a fantastic way to bring interest and depth to your landscape. 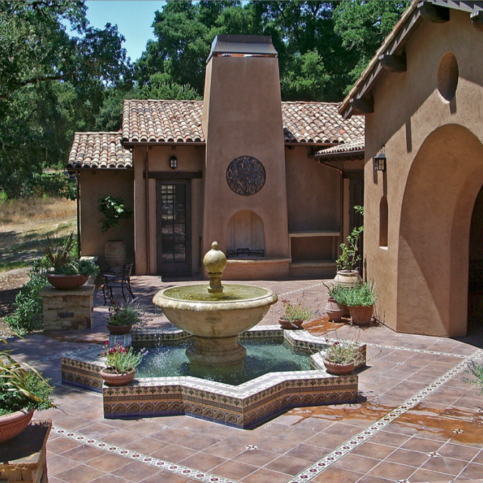 Fountains help contain the water to a smaller, more manageable space and you can work with your Monterey and San Benito Counties landscape contractor to find one that fits your style and budget. Like adding another room to your house, the outdoor kitchen and fire pit truly adds measureable value to your property. While this can be a costly component to landscaping, your contractor can work with you to find an outdoor kitchen and/or fire pit that scales to meet your needs. Fish add an instant sense of true nature to your outdoor space not accomplished by any other feature. Koi ponds are popular for those homeowners who are willing to keep up the effort it takes to maintain them. 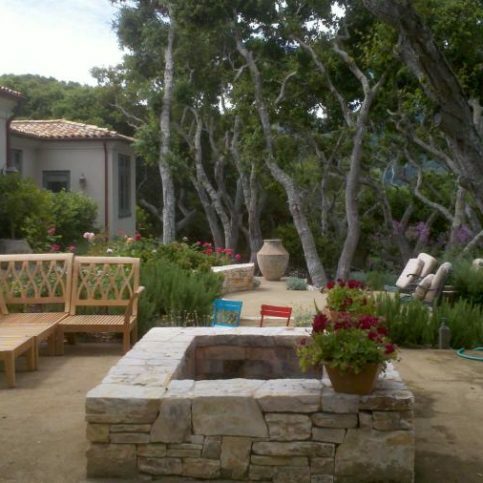 Discuss maintenance with your Monterey and San Benito Counties landscape contractor, as it can be extensive. Another water feature with a little more natural credibility than a fountain, the stream and/or waterfall can immediately transform an outdoor space into a magical oasis. This feature also changes the types of plants that can be introduced into your yard, as it adds natural irrigation and watering capabilities. Similar to a stone walkway, the brick paver walkway assists you in directing outdoor traffic in your landscaped space and keep trampling to a minimum. Brick pavers are much more uniform and suited to a design that incorporates more rigid lines between naturally occurring landscapes and man-made features. Helpful with erosion control and drainage issues, terracing can be a lovely way to address difficulties with your outdoor space. 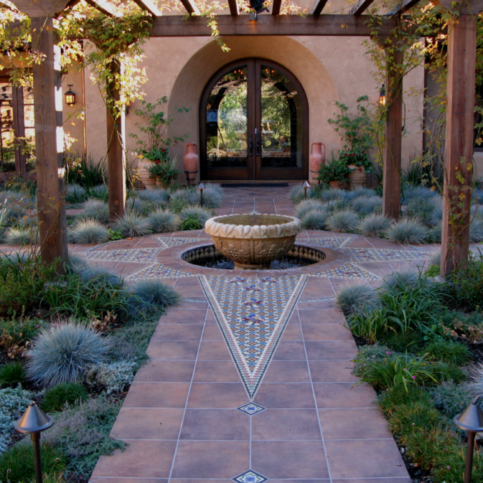 Your Monterey and San Benito Counties landscape contractor can provide many options for accomplishing this look while incorporating your other design wants and needs. Landscape contracting and the landscaping business in general have a specific language that may sometimes feel like a code that needs cracking. The following list of terms and definitions should help you navigate your way when hiring and working with your Alameda County landscape contractor. A type of easement which allows a contractor to build over a street or structure. A professional society that represents landscape architects betters their practice and understanding through education, research, state registration, etc. A plan showing site boundaries and features, used as a basis for further development. Regulations that specify the type of methods and materials allowed on a project. An authorization dispensed by a government agency which permits construction of a project according to agreed-upon specifications. A man-made creation or alterations to an outdoor space, including its natural resources. A digital design program that produces precise plans for landscaping projects. The form of the land. Contour lines are map lines which are used to show and measure slope and drainage. The safeguard, improvement and use of natural resources according to principles that will guarantee economic or social benefits for our environment now and in the future. A plan for protecting natural or manufactured resources. Used as a tool in making decisions regarding soil, water, vegetation, manufactured objects and other resources. The creative illustration, planning and specification of outdoor space for utility, value and beauty. Where water escapes from a land surface or subsurface, through sewers or natural means. The legal grant to use an area of designated property. How the land slopes. Grading is the process of changing the degree of the slope in order to promote drainage and landscape design. Things that are added to a landscape, such as paving stones, gravel, walkways, irrigation systems, roads, retaining walls, sculpture, street amenities, fountains, etc. A multinational organization of landscapers whose purpose is the advancement of landscape design. The amount of land that can be seen at a glance. The science and art of design of the land involving natural and built elements and concern for resource conservation to improve outdoor spaces. Effective landscape architecture makes the most of the land, adds value to a project and minimizes costs, all while minimizing negative effects to nature. A trained installer of landscapes who implements the plans of landscape architects. The organization of land for aesthetic or functional design. Refers to the building of small backyard patios to huge urban plazas. An initial plan showing proposed development. Master plans show phases of work needing to be completed and are therefore subject to changes over time. Elements naturally occurring in an area that can be used to fulfill human needs, including air, soil, water, native vegetation, etc. A drawing including dimensions that indicates the form and physical objects existing in an outdoor space and those still to be built. The naturally occurring elements landscape architects work with, such as plant materials. Legal land-use control and building regulations usually implemented by a municipality, involving the designation of land areas for specific purposes. Q: Why select a Diamond Certified landscape contractor? A: Diamond Certified helps you choose a landscape contractor with confidence by offering a list of top-rated local companies who have passed the country’s most in-depth rating process. Only landscape contractors rated Highest in Quality earn the prestigious Diamond Certified award. Most companies can’t pass the ratings. American Ratings Corporation also monitors every Diamond Certified company with ongoing research and ratings. And your purchase is backed by the Diamond Certified Performance Guarantee. So you’ll feel confident choosing a Diamond Certified landscape contractor. Q: What services can a landscape contractor provide? A: A good landscape contractor will be able to hear your vision and provide insight on what can work with your space. They will start by crafting a plan that fits your specific needs and vision. Your contractor will manage the people, materials and equipment needed to produce the transformation to your outdoor space. They are also in charge of any building permits and your safety during the project’s completion. A really good landscape contractor will give you a final product that maintains itself as much as possible and performs as good as it looks. Q: When should I employ a landscape contractor? A: There is not a point too soon at which you should look for a licensed contractor. As soon as you are dedicated to landscaping your space, which means you need to know what you don’t like about your current yard and what you would want installed to make it more enjoyable, then you are ready to begin your search. Hiring a licensed contractor early in the process can help you keep from making costly mistakes and heightens the chances that you will be pleased with the final outcome. Q: How can I make sure I am hiring the best possible landscape contractor? A: Seeking out a Diamond Certified landscape contractor is always the best place to begin. Beyond that you should ask around to see if any family, friends, neighbors or co-workers have hired contractors that they would recommend. It is essential to hire a contractor who is familiar with the type of project you are looking to complete. Pay attention to the services and experience of every company you interview. Q: What is the best indicator that I have hired the right landscape contractor? A: Research indicates that the number one way people can tell they will be satisfied with the final results of their landscaping project is whether or not they were able to communicate effectively with the landscape contractor from the beginning of their professional relationship. Your contractor should make you feel comfortable to bring up any questions or concerns that arise along the way. In addition, you should be confident that your landscape contractor understands from the outset what you believe your transformation should look like. Ask many clarifying questions as you work on a plan together to make sure that you are on the same wavelength as your contractor. Q: Why should I choose a licensed landscape contractor? A: Licensed contractors are bonded against negligent work and any breaches of contract. In addition, licensed contractors in the state of California are required to serve in the field for at least four years before applying for a license. Hiring a licensed contractor ensures that the company working on your outdoor space has professional experience and has passed an exam that tests their knowledge of the field extensively. Q: How much expense will hiring a landscape contractor add to my project? A: You will pay for the expertise of a landscape contractor, but hiring the right one can in fact save you a lot of money. The expertise you pay for will let you know exactly what features your outdoor space is suited for and what can be installed with ease and less expense. You won’t waste nearly as much money and they can also help you seriously reduce maintenance costs following the installation of a well-planned landscape. In addition, because of the man and machine power at their disposal, they can complete projects in much less time than it would take you to do the same thing. Q: How do landscape contractors get paid? A: Landscape contractors can charge based on time it takes to complete a project, an agreed-upon project fee, a percentage of the cost of the total work done or by the square foot area of the project. You should be clear on how a contractor charges before you enter into a professional relationship with them, ask for a detailed estimate and always work under a specified contract. Q: What is my role in the process of landscaping my space? A: You will need to clearly share your design wants, decide on a workable budget and provide insight into how the design will affect the livability and enjoyment of your space. A trustworthy contractor will continue to communicate with you throughout the process and be available to lend advice and design suggestions. You need to feel like a partner in the process and informed along the way.